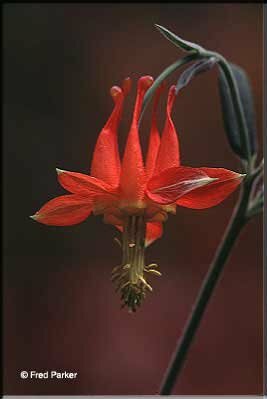 The columbine is the State flower of Colorado, and the name is derived from a latin word meaning "like a dove." This is my small contribution to honor the victims of Columbine High School, their families, and the citizens of Littleton, Colorado. Words cannot express the sorrow, the horror, and the shock being felt across the United States of America and around the world. No doubt the healing period for all of you will be very long and difficult. But the spirit and love that exists there will prevail, and you will be victorious. What I want to say to the students of Columbine and to the youth in Littleton is that there IS a God. He is a loving, awesome, omnipotent God, and he lives within all of you. It is through each other that you will find Him. In times of pain and sorrow, the best way to heal is to draw close to those you love....your family and friends. Each one of you is precious, and God loves you. May you be richly blessed. On Thursday, May 27, 1999, Darrell Scott, the father of Rachel Scott, a victim of the Columbine High School shootings in Littleton, Colorado, was invited to address the House Judiciary Committee's subcommittee. What he said to our national leaders during this special session of Congress was painfully truthful. It needs to be heard by every parent, every teacher, every politician, every sociologist, every psychologist, and every so-called expert! "Since the dawn of creation there has been both good and evil in the heart of men and women. We all contain the seeds of kindness or the seeds of violence. The death of my wonderful daughter, Rachel Joy Scott, and the deaths of that heroic teacher, and the other eleven children who died must not be in vain. Their blood cries out for answers. The first recorded act of violence was when Cain slew his brother Abel out in the field. The villain was not the club he used. Neither was it the NRA, the National Rifle Association. The true killer was Cain, and the reason for the murder could only be found in Cain's heart. In the days that followed the Columbine tragedy, I was amazed at how quickly fingers began to be pointed at groups such as the NRA. I am not a member of the NRA. I am not a hunter. I do not even own a gun. I am not here to represent or defend the NRA-because I don't believe that they are responsible for my daughter's death. Therefore, I do not believe that they need to be defended. If I believed they had anything to do with Rachel's murder I would be their strongest opponent. I am here today to declare that Columbine was not just a tragedy - it was a spiritual event that should be forcing us to look at where the real blame lies! Much of the blame lies here in this room. Much of the blame lies behind the pointing fingers of the accusers themselves. "I wrote a poem just four nights ago that expresses my feelings best. This was written way before I knew I would be speaking here today. And ask the question "why"
"Men and women are three-part beings. We all consist of body, soul, and spirit. When we refuse to acknowledge a third part of our make-up, we create a void that allows evil, prejudice and hatred to rush in and wreak havoc. Spiritual influences were present within our educational systems for most of our nation's history. Many of our major colleges began as theological seminaries. This is a historical fact. What has happened to us as a nation? "We have refused to honor God, and in doing so, we open the doors to hatred and violence. And when something as terrible as Columbine's tragedy occurs - politicians immediately look for a scapegoat such as the NRA. They immediately seek to pass more restrictive laws that contribute to erode away our personal and private liberties. "We do not need more restrictive laws. Eric and Dylan would not have been stopped by metal detectors. No amount of gun laws can stop someone who spends months planning this type of massacre. The real villain lies within our own hearts. Political posturing and restrictive legislation are not the answers. The young people of our nation hold the key. "There is a spiritual awakening taking place that will not be squelched! We do not need more religion! We do not need more gaudy television evangelists spewing out verbal religious garbage. We do not need more million dollar church buildings built while people with basic needs are being ignored. We do need a change of heart and a humble acknowledgment that this nation was founded on the principle of simple trust in God! "As my son, Craig, lay under that table in the school library and saw his two friends murdered before his very eyes - he did not hesitate to pray in school. I defy any law or politician to deny him that right! I challenge every young person in America, and around the world, to realize that on April 20, 1999, at Columbine High School - prayer was brought back to our schools. "Dare to examine your own heart before casting the first stone! My daughter's death will not be in vain. The young people of this country will not allow that to happen." Her last words were "Yes, I believe in God." Please honor these beautiful children of God and their families by forwarding this page to your friends and loved ones. Keep their flames burning. Also, visit the sites below. God Bless You, and thank you for visiting.